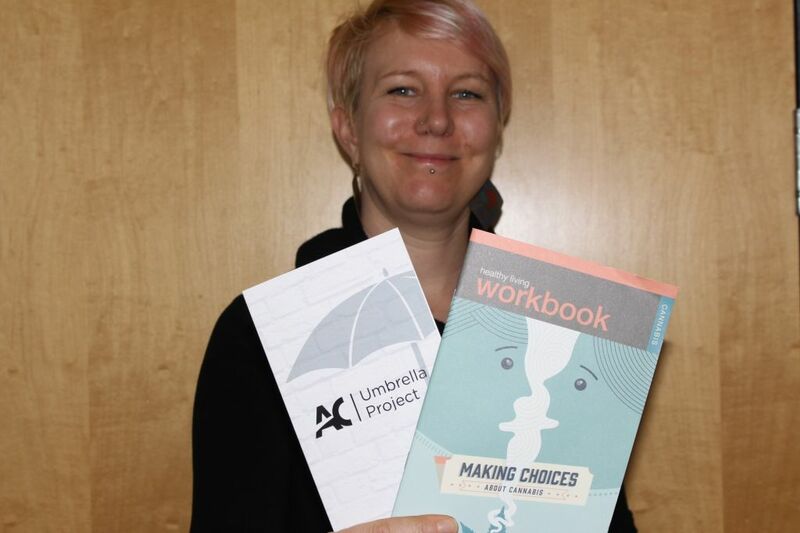 Amanda Neilson, a founder of the Umbrella Project and current student. On Oct. 7, 2018, the legalization of cannabis came into effect after months of mixed feelings of anticipation and dread from the public. Educational institutions, where health classes heavily instilled caution if not outright fear regarding the plant-based drug, had to work out what changes could be made to the curriculum to talk about this change and safe use with their students. Thankfully for Algonquin students, the Umbrella Project may have it figured out. In fact, one of the few differences in discussing cannabis use is the larger number of resources now helping the Umbrella Project spread the message of harm reduction and safe use. A new pamphlet for using cannabis responsibly comes through Ottawa Public Health, and the Project’s website also recently had a makeover to include a whole section focused on cannabis from the new laws surrounding its legalization to safe use. This openness on Algonquin’s campus might seem odd considering the smoking ban that began just before cannabis was made legal, but the ban appears to have made little change in the drug’s use upon campus. Algonquin’s Umbrella Project ahead of other campuses on cannabis care Reviewed by Vanessa Myre on April 2, 2019 .